Some very good things are going on in the pro-life movement just behind the scenes. Readers here are probably interested in how things went for Texas Right-to-Life (TRTL)endorsed candidates in last Tuesday’s primary. It was a very good night for them and their allies in what they call the Freedom Caucus. While the establishment Republicans were able to successfully defend most of their challenged incumbents, two establishment members of the State House and one in the State Senate were defeated by committed pro-lifers. Meanwhile, four Freedom Caucus incumbents in the House and two in the Senate were challenged by establishment Republicans. All the Freedom Caucus incumbents won re-nomination. The Republican nomination for four open seats (with no incumbent Republican) were taken by Freedom Caucus members. Six more such seats will be decided by runoff elections. The establishment was not swept away, but both the Texas House and Senate will be significantly more conservative – and populated by more members who are principled pro-lifers rather than who just give lip service to it to facilitate their trafficking in jobs and contracts and influence. The old establishment, which killed effective pro-life legislation before it could reach the floor, will still have a voice – but it is a diminishing voice and it will not be able to re-take leadership. The criminal case against Daleiden mounted by California Atty. Gen. Javier Becerra. For those who have followed the case closely, the AG’s case has been almost comically inept. They started with creating a law just to prosecute Daleiden with, then mounted legal theories that had never been used to prosecute anyone in California with before. Becerra has abandoned all concept of law, propounding novel legal theories to enforce his will. It is not just in the PP case that his will to power has run amok. He has threatened any private citizens in California who co-operate with federal authorities on immigration enforcement with criminal prosecution. He has openly defied federal authority. Though very quiet, the feds are investigating the IT scandal by the Awan brothers and Debbie Wasserman-Schultz – and Becerra is, at the very least, a peripheral player there. Becerra is consumed with hubris, the hubris that he IS the law and all must submit to his will. He is likely to come crashing down with stunning suddenness. The main result of his angry and inept prosecution of Daleiden is likely to help facilitate his coming fall. Though he brought in a Planned Parenthood clinic as part of a “charity” in his role as a board member of the Good Samaritan Family Resource Center, Federal Judge William Orrick refused to recuse himself from presiding over the civil suit PP and the National Abortion Federation (NAF) brought against Daleiden. He passed the decision on recusal off to Federal Judge James Donato, who also brushed it aside. Daleiden appealed to the Ninth Circuit, the most liberal circuit in the country. In a very ominous (at least for PP) order, the Ninth Circuit said that Daleiden’s appeal raised issues that “warrant an answer.” It ordered PP, NAF, and Judge Donato to explain to the court why Orrick should not be recused. Even more ominously, the Appeals Panel instructed Judge Orrick that he could address the petition by “issuing an order and serving a copy on the appellate court.” In legalese, that is an invitation to recuse himself rather than being recused by a higher court order. It being California, any new judge assigned to the case would almost certainly be pro-abortion, but would unlikely be tied as intimately to PP and abortion activism as Orrick is. Plus, a new judge would be confronted with the reality that the “fix is in” justice attempted was too much for even the ultra-liberal Ninth Circuit. The U.S. Supreme Court is currently considering granting cert to Daleiden’s effort to dismiss the injunction on releasing videos taken at a NAF conference three years ago on First Amendment grounds. The Supreme Court gets innumerable petitions for cert every year, considers about 3,000, and finally grants only about 80. So this is still a longshot, but when the court even formally considers such a request, it is a signal to lower courts that there are serious issues involved that need to be more closely adjudicated. Judge Orrick had banned the videos from being shown because they were so toxic that he thought it might endanger the lives of those caught on tape. It is an incredibly damning admission to me that the judge thought that what abortionists actually say when they don’t know cameras are on them is so toxic it would endanger their very lives if ordinary people were to see it. It is a very novel legal theory to suggest that when bad people are caught on tape saying incredibly ugly things involved in a major issue of public interest, it is the job of the law to protect the bad people from any consequence for their actions and hide the evidence from the people. Whether the Supreme Court ultimately grants cert or chooses to let the issue percolate up the chain, this strikes another big blow to PP’s image of invulnerability. Over time, entrenched establishment organizations tend to enforce their power through raw intimidation and force. After long enough in power, this usually becomes all they have – because it has been successful for so long. That is when they become vulnerable, for when someone comes along who will not be intimidated, who will stay the course through great trial, hardship and sacrifice, the entrenched establishment rarely has anything else. Daleiden, not even 30 years old, has been battered economically and legally, constantly insulted and ridiculed by the mavens of the left, including the establishment press. But like a bulldog with a rag, he won’t let go – and the best outlook now for PP is that it survives, not that it prevails. In Texas, the entrenched establishment, even with help from cronies in business and even some churches, has been neutered by ordinary people working through organizations like TRTL that put principle ahead of power and influence. I have re-thought the title of the piece I will be putting up this weekend. Instead of “The Center is Not Holding,” I shall entitle it “The Ballad of the Ordinary Man,” for that is the center that will hold as all else falls into ruin around us. A long-time reader of this website and its predecessor has been diagnosed with pancreatic cancer. Carole Tomlinson is a very faithful woman. She and her husband are in perilous financial circumstances. If you have a little extra and can help her out, her gofundme page is here. I know she will appreciate it, and I do, too. We have to take care of our TNRS family. I will spend some time next week putting up some new links. I want to get LifeSite News and Life News linked, as they have been the most steadfastly pro-life news outlets in operation today. I also want to get some supply houses back up. St. Clare Seeds is run by long-time readers here. A few years back, they gave away packets of surplus heirloom seeds to readers of this website. Also, Full of Grace supply house is owned and operated by a very dear friend. A few of my critics suggested I owned a part of that operation. Alas, never have – but it did subsidize shortfalls in my travel expenses…and last year there were some significant shortfalls. It has great merchandise and has helped me get the word out. What’s not to like? Finally, a hat tip to long-time reader David Drewelow for alerting me to the replica of the memorial statue to unborn children (pictured at top), that is coming to Fresno, California. It is beautiful. Yeah for the pro-life news, Charlie! Mighty cheers for Full of Grace supply house and the generous proprietor, so grace-filled in her ways. From first sight, I have loved this particular memorial statue to the unborn, reflecting God’s Grace in the child’s innocence and love. And, finally, prayers for Carole Tomlinson as I’m off to visit the Go Fund Me site for her. I also posted in on my facebook page. Ditto to all that Beckita said! Yay for the good news! Please Lord, keep shining the light of the Divine Will on all evil to expose it and wash it away! Crush the evil under your heel, Mother Mary, we love you! Come, Triumph of the Immaculate Heart of Mary! Annie W who is Pelianito???? How do I find this post? I always come up with “After the Warning” but I cannot find her specific posts. Noreen, please use the link I provided which will take you straight to Janet’s blog. Here it is again. Thank you, I found your link just after I posted my question. God bless you, Noreen, and your family. Praying for your dear mother, Linda. Praying, too, for you and your siblings. May Christ imbue each of you in His Peace. We just learned today, that my Grandmother-In-Law, Betty, has been hospitalized for difficulties in breathing. She is in Atlanta and is close to my Mother-In-Law, Penny, who will have to find a permanent Nursing Home for her upon her discharge. My GIL is very fearful of being moved, yet again, and it is taking a toll on my MIL who has been such a caring daughter. Thank you all in advance for your prayers. Praying for your dear GMIL, Betty. Difficult times. For Linda and Jen, a MT prayer for your intentions through their namesakes and St Joseph, to whom March is dedicated . Jen, I will pray for your GIL, MIL, and you and your husband. Dear Linda– so sorry about your Mom. My Dad had a feeding tube for 6 months before he died. When he was put in hospice we were so upset when they quit putting nutrition in his feeding tube, but they helped us to understand that his body had shut down and it couldn’t digest anything at that point. Such a difficult time. Will pray for you! Yes, Linda—my mom is 91. Wonderful opportunity to LOVE! God bless you! Hi Linda. Yes, it is very difficult to watch a loved one going through their final days on earth. The Lord, fortunately, has designed our bodies to cope during this transition, and one of those ways is by losing the desire for food and water. It helps the body stay comfortable and is a common thing to see. If you have any questions, please contact me through my website http://www.SpiritualHospice.com using the Contact page. I’m a hospice RN and would be happy to answer any questions you have. I will also immediately notify our prayer team to pray the Divine Mercy Chaplet for your mom, Jeanne. Patrick, what a beautiful thing for you to do. May God bless you in all your work. Linda, the words Patrick wrote above “The Lord, fortunately, has designed our bodies to cope during this transition, and one of those ways is by losing the desire for food and water” are some comfort to those who are standing by their dying loved ones – more people should know about the Lord’s mercy at such a time. Praying for you all in this moment! My Mum died on the last Thursday in November 2017. She had been told in June that there was no medical treatment that could help her and that she would most likely not see another year out. I had offered to take her to confession a couple of times as I knew that, although a Sunday Catholic and active parishioner, that she had not availed herself of that sacrament for many years, maybe decades. On the Monday of her last week we called the palliative care nurse for the first time – after meeting him a month earlier to have arrangements in place for when the time came for Mum as she wanted to die at home – and he said that she had only a few more days left. It was a surprise to her and all of us as she was still up and about although not breathing well, which is why we called him. She agreed for the priest to come which he did, that day and the next, and he told me that he gave her the apostolic blessing. I was floored: one, to find out about it and, two, that this particular priest offered it. It was only in his homily at Mum’s funeral that he related to us what had happened on his first visit to her. To his question “Anne, what would you like from the Church at this time?” Mum replied “The full works please Father!” It made us laugh because we noticed several times during those last days that her sense of humour had gathered momentum – but I was so very grateful for the priest and the sacraments of the Church! So hard Linda. Praying for restful peace soon. My mother suffered at the end too…..but all is well with God. Ask God to open whatever doors need to be open. If it is his will he will lead you. I was in your place seven years ago. Its not easy-be with her whenever you can, talk to her even if she doesn’t respond, say the D. Mercy chaplet and rosary with her, hold her hands and tell her how much God and everyone loves her. Linda, always remember God is in charge. I have asked my mother, who died just 5 months ago in this same manner, to intercede for your mom and you all. Offer this great suffering up to God and accept it for what it is…great suffering. Do not try to diminish it- we were not created to die so it us unnatural for us to see our loved ones go. The apostles went through a darkness and spiritual agony when our Lord was taken by the soldiers and crucified. But Jesus prayed that when Peter had recovered he would strengthen the other apostles. We too can pray for this strength once God decides it is time for us to recover. I recognise your frustration Linda. When my mom lay dying I felt completely helpless to try and alleviate her suffering but all that could be done was to wait and pray. Once she was gone the heavy weight I felt left me as I knew her suffering was over and she was now in God’s care. In this dark hour it is hard to feel hope but it is still possible to surrender to God everything you are going through as God will not waste it and He will multiply it for great, unimaginable things for your mom, you, your family and the whole body of Christ. Dear Linda, went through this very painful process a couple of years ago. My dear mother suffered for 8 long years with parkinson/dementia while my older brother and I tried within the boundaries of our human frailty to take care of her. My mom was rushed to the hospital one night with troubled breathing. Once there they informed us that she was aspirating food and liquid into her lungs. She was placed in hospice care with no food and water. This caused such stress in me that I lost close to 20 pounds within days. I felt so terrible that somehow I was failing her. In the end all I could do is trust in Jesus. Praying for you and your beloved mother. Sincerely, Jim C.
Linda, I will keep your mother and your entire family in my prayers. Dear Linda, praying for you, your mom and family. I had to watch my mother pass from diabetes complications then my father from from dementia. Charlie has said that “everything and I mean everything” is used by God for our salvation and I can certainly attest to this in my parents passing and seeing the fruits even years later. Try to keep in your head that your in God’s hands completely and trust him completely as difficult as it gets. Has anyone seen Mystic Post about March 18 and the Russian election??? Mirjana from Medjugorji said we would understand why Our Lady has asked us for prayer and fasting on March 18… thought it was going to be last year, but it wasn’t.. I wonder if it is this year? We can do this. We can. In our weakness is God’s strength and glory. by the way, Charlie.. I printed out your “what is the next right step” piece.. God has given you so so so much wisdom for all of us little worms down here…lol Thanks again for all that writing. It is so good to know that the rescue doesn’t really depend on us.. but that staying in grace is what matters here.. I find I feel the need to repent, ask for metanoia and confess like ev hour on the hour. God save all here as Crew Dog says! Good job, Charlie. Thanks for some good news and for “A sign of hope.” When I say my rosary in the “flame of love” devotion, I always pray for truth and justice to be done….and, of course, for the triumph of the Immaculate Heart of Mary. As St. Padre Pio said….”pray, hope and don’t worry.” God bless one and all. “Truly, if thoughts are directed to God then people will experience life as a journey through a beautiful world. Mankind is with God in the world in so far as he chooses God’s ways and God’s thoughts. My wounds, suffered for the sins of mankind should be viewed as demonstrations of My love, which always reflects the Father’s love. When a person says that he loves someone, it is a good thing. When a person says that he loves someone, then uses his very body to protect that someone, there is little doubt that his sentiments of love are both true and deeply held. I did that for you. My sentiments of love for each of God’s children are true and deeply held. I love you, dear child of the Father. I am connected to you intimately as one who has offered one’s own life for another. We have a bond, you might say, an intimate bond that will never cease to be. I look at you steadily, craving notice. When you look at my wounds, do you see how much I love you? That is what I want you to see. I want you to look at my crucified form and believe that you are worth total love, total dedication, total immolation. You are worth everything there is and everything there will be. Any sacrifice is acceptable when it comes to your eternal life. Many people will be saved through my sacrifice and I will be in intimate relationship with them for eternity. But I hope for something more. I hope that you will begin an intimate relationship with me now. ❤️🌹❤️ Beautiful. The messages from Jesus from D.F.O.T. S’ have been a great blessing in my life over the years. Thank you for posting Sansan . Please pray for the repose of the soul of another pro life warrior, mother of eleven, grandmother of 26, and Great Grandmother of 32, Bonnie De Rutte. God bless this good and faithful servant! praying for the repose of Bonnie’s soul and for all who love her. A member of what used to be the shelter group in Alaska asked me a very interesting question just before the end of the year. Do you think, she asked, ‘if the spiraling take down; of the hollywood types, government types, football, sports types, etc that was happening and is still happening, but just not quite so furiously, could it be the illumination of some type? Well I thought about that, and of course, have no idea. However, what occurred to me then that what was obviously happening was the curtains that were hanging over the ‘wizard of oz’ machinery were being drawn back so those who were blinded by them or at least curious about them, now had an opportunity to take a hard look at what was really happening and was being covered up by all the power brokers and wanna be power brokers. In other words, at a speed and ferocity that was like a dam breaking, people who were the charmed ones, were being unmasked. We , the sheep, now had to take a look and make a choice. The choice will we turn a blind eye to what is corrupt because it keeps our lives ‘normal’ or make a choice to move away from the corruption and begin to choose ‘renewal’? It sort of like seeing the naked Emperor and seeing he is unclothed and choosing to say so. The Pro-life movement and the slow ebbing away of the power brokers powers is another chapter. I ask is this Gods plan? It seems to be. I feel hope because the little man is not being crushed as badly. Even the fact that the ninth circuit court found in favor of DD is astounding. It almost like God is sending out these little messages, “I’ve got such a surprise”. Anyway, I am excited about the rays of light that I am seeing here and there. God is good. Just to be clear, Kris, the Ninth Circuit has NOT yet found in behalf of Daleiden in the recusal case. This order was to involved parties preparatory to hearing the case – but the order signaled that that is how they are thinking. As David has NOT folded as most expected and all hoped, various courts have seen that PP largely has mounted specious arguments. Since most coastal judges are lefties, they have been playing what seems a game of hot potato, trying to dump the case into someone else’s lap in order to avoid being the judge who ruled against PP. But with each blow, PP gets a little more vulnerable. Ha! PP was right early on when it suggested that this was truly a battle of little David and the gargantuan Goliath – but they didn’t know enough about the Bible to recall that David won. Looks like our prayers are being answered. Hopefully PP will be just a bad memory one of these days. Good to hear this inspiring update on David Daleiden and Goliath! Praying for Carole Tomlinson and for all here and your intentions. This is excellent news, Charlie, music to the ears. It is so important to hear about the victories along with the setbacks in this ongoing global WAR over human life. On a personal note, I’ve decided to seek further counsel for problems that stemmed from my own experience with abortion in 1988. I was deeply moved and inspired by a young, 30-year-old friend who recently gave a public talk at St Thérèse Catholic Church. She had had a chemical abortion, lived a life of self abuse, substance abuse, and promiscuity….then she was shown the mercy and love of Jesus. Despite being different sexes, our post-abortive lives have striking parallels. I sat weeping silently in the pew as she candidly told her story. Her talk — the first she had ever given and one of the best I’ve ever heard in my life — exposed latent and unresolved psychological issues I’ve been dragging around like a ball and chain. The Holy Spirit was eloquently speaking through her, giving me a strong push to face my problems and a renewed hope of breaking free…free of the guilt, free of the escapist temptations of the world, free of the addictions, and inspiring me to seek a more personal relationship with Jesus. My daughter’s name is Thérèse. She would be 30 this year, around May. The last name of the woman I had the relationship with in 1988 was Martin. I placed my daughter under the care of Saint Thérèse (Martin) of Lisieux in 2010. My sweet little Thérèse, pray for us. Saint Thérèse of Lisieux, pray for us. Our Lady of Tepeyac, Mother of the Unborn, pray for us. Patrick, I also have a little one in heaven named Therese (complete with the accents that I do not know how to type). Her whole name is Philomena Marie Therese. I had a dream about her once. I only saw her from the back, but she was fair-skinned and had blond hair. Given my genetic makeup, I thought that was odd until a couple years later when our Anne-Marie was born… fair-skinned, and with blond hair. So I’m guessing that Anne-Marie looks like her big sister. I am praying with and for you, dear friend; and I will ask my darling in heaven to pray for you, too. And I hope that your Therese and mine are good friends up there. I’m sure our little girls became immediate friends in Heaven. Holy shivers, Patrick. Your comment here had not been posted when I was composing my comment below. Gratitude, gratitude that Jesus is cutting chains all over the world. God bless you, friend. Thank you, Marie. Holy Shivers indeed! God bless you , Patrick and Mick–I carry around a heavy burden of unremitting sadness for the choice I made to end my marriage many years ago, destroying the family my husband and children deserved. I know God has forgiven me, but the pain continues. I figure it’s a cross I will carry my whole life, and I offer up my suffering for Our Lord to use as He wishes. The good that came from this pain is a true re-conversion of my heart. Thank you for your brave witness, Kim. So many speak of receiving God’s healing for their wounds, whether inflicted by others or self-inflicted. Blessed be God! I have come to know He does much more than simply heal us. Just as Jesus tells us we are healed by His stripes, God will transform our wounds for all manner of sanctification and blessings upon us and upon those with whom we cross paths. I can only imagine the power of your Rollo and however else you witness to the life of Christ in you. Truly, in your true re-conversion of the heart, we are the richer for your presence here. God bless you and your beautiful family, Kim. thank you, Beckita–I did the piety Rollo and did share my conversion story and difficult past. It was emotional but healing! Main thing is, hoping that sharing helps others. Beautiful, Kim. Sharing from the heart rivets the attention of those who listen and I have no doubt the Lord used you well for the sake of others. May God bless and comfort you, Kim. I will pray for you and yours. Prayers for you Kim and for your family.May God heal your broken heart….and theirs’. Dearest Patrick, thank you for your beautiful witness…may God bless you. The image at the top is compelling, for more than one reason. That very image is on a prayer card I have, from Rachel’s Vineyard of Colorado, which handles US dollar donations on behalf of Rachel’s Vineyard in Italy. A friend of mine and her Italian husband started La Vigna di Rachele in Italy in 2008 and have been faithfully and prayerfully tending that growing vineyard for nearly ten years. This type of healing ministry, faithful to Catholic teaching, is surprisingly new in Italy. The need is great and the response, heartening. Mark Mallett’s post is not “news” to most of us, but a constant reminder that only by the grace of God can we withstand the fury around us. Next week, our brainwashed “lost” children will hit the streets against our government and our freedoms. Praying for an awakening of these lost souls against satan’s drum beat. Pray. 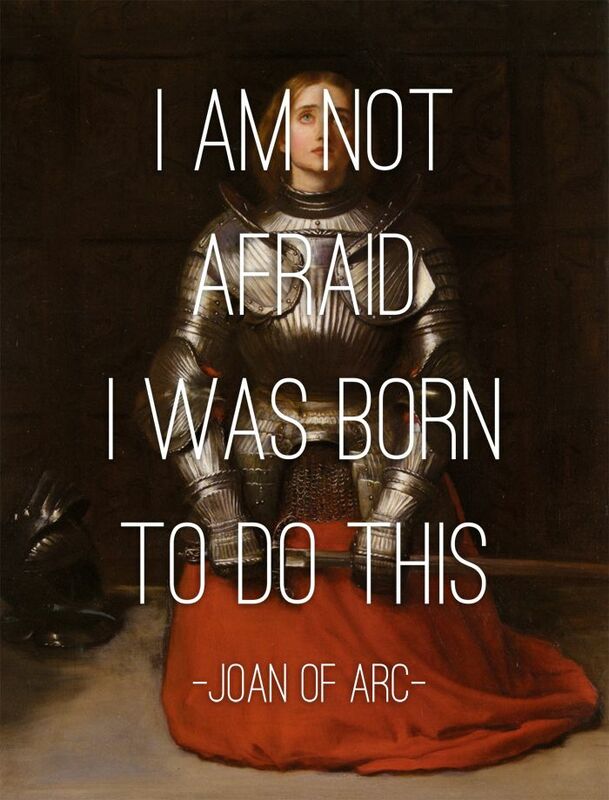 Be not afraid. Pray. Fr Dwight Longenecker, as ever, is a mighty light in the current darkness.